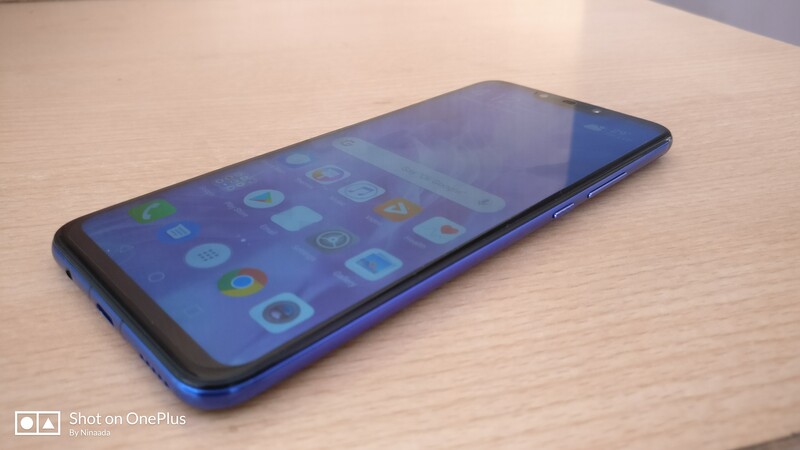 Huawei Nova 3 is aimed at people who want high-end features and hardware for not-so-high price. Oneplus has been doing this successfully time and again since past 5 years, and did not have much of a competition at its price point.Now many companies are taking a cue out of Oneplus’s strategy. We would say that Nova 3 is a competition to Oneplus 6/6T. We’ll see how much value for money this phone is. The device looks modern and feels great to hold. The measurements stand at 157 X 73.7 X 7.3 (in mm). The phone is quite big and the entire screen would not be reachable in one hand for people who don’t have large hands. The aspect ratio is 19.5:9, which makes the phone long and is not apt for operating with one hand. But there is a one-handed mode which shrinks the screen horizontally & vertically so that the screen is accessible. 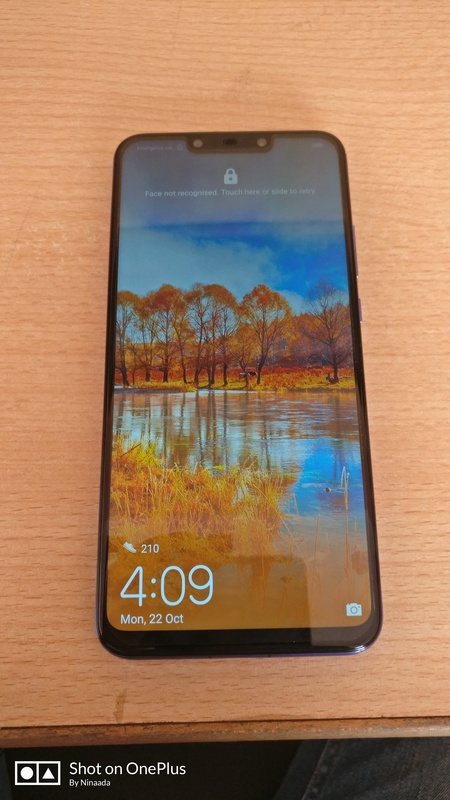 Huawei has gone along with adding a notch to get maximum area for the screen. 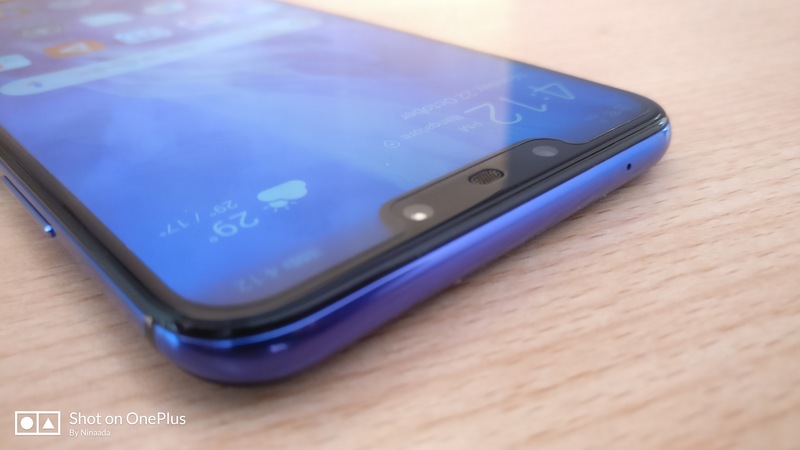 The notch is quite wide and not as small as in a tear-drop shape like in Oneplus 6T. If you don’t like it, there is an option to turn it off, which essentially, still keeps the notification icons in the same place, but the background of the notch area will simply be made black. The design of the device is great. 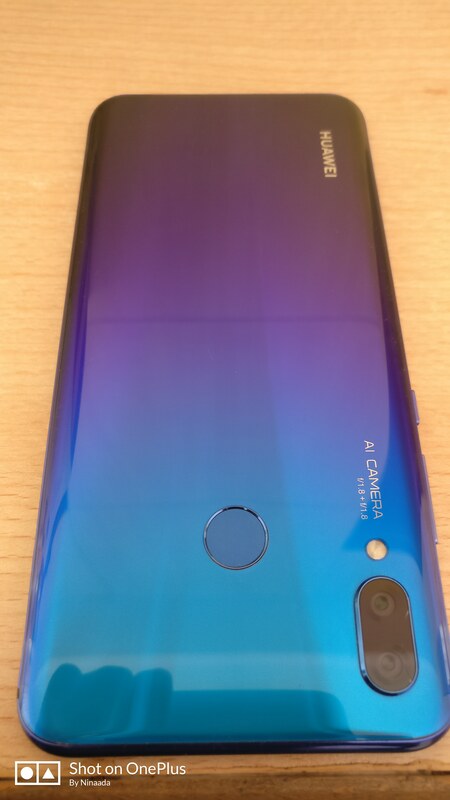 The backside of the phone has glossy gradient colors which starts from purple at the bottom and become chrome blue towards the top. This makes the device stand out from the crowd and can make people take notice. 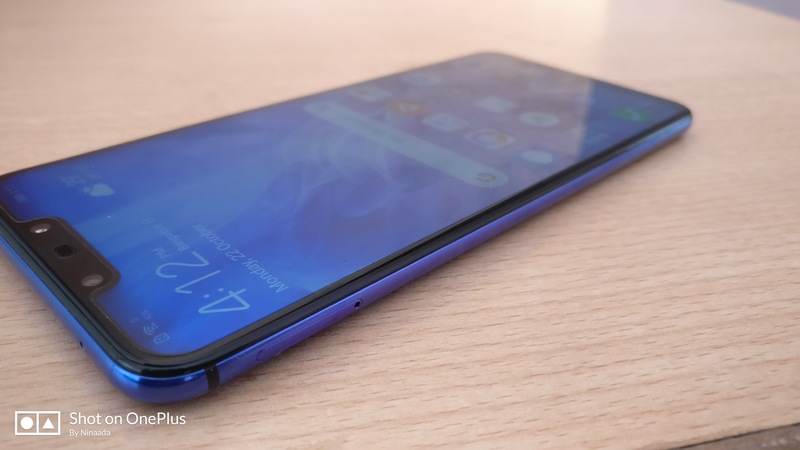 The rear cameras are placed on the top-left side of the backside, one below the other in a single housing, and protrude a bit, not as much as to make anyone uncomfortable in the pocket. The LED flash sits right below the camera housing. The fingerprint sensor sits in the center of the backside, a little bit towards the top. 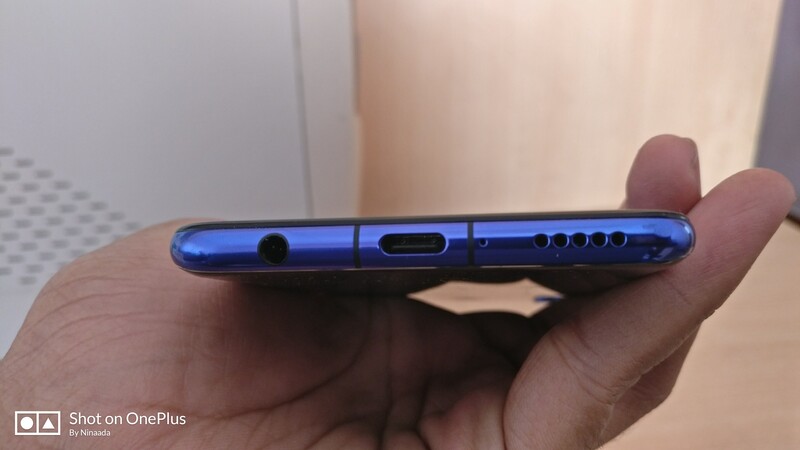 On the bottom side of the phone, we have a speaker grille and a mic on the right, USB C-type connector in the middle and a headphone jack towards the left. Huawei is still keeping the headphone jack, when most of the phones in this price point are removing it. (I personally still prefer the headphone jack). Headphone jack still has a place! On the left side of the phone, you have the SIM tray, where you can insert either 2 SIM cards or a SIM Card and a micro-SD card. Since this tray is a hybrid setup, you can’t have both SIMs and micro-SD expansion. On the right side, you have the volume buttons on the top, followed by the power button a bit below. The top side has a solitary mic which we think would be used while recording audio for the videos. 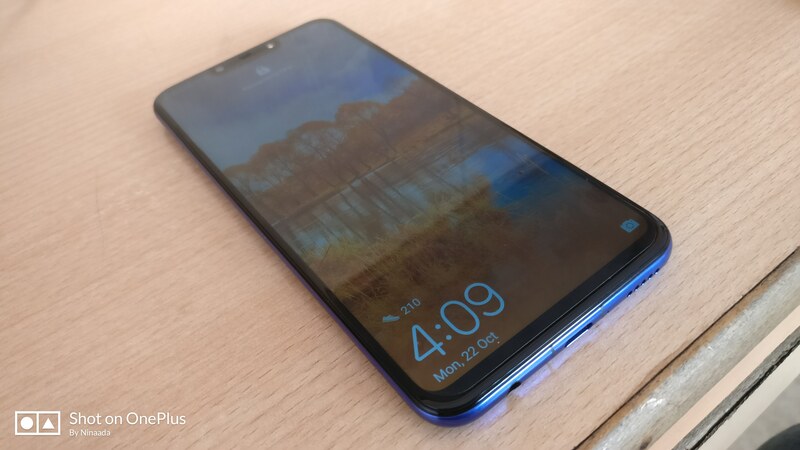 The dual front cameras, proximity sensor and IR for face unlock are placed in the notch area, and also a speaker for the voice calls is housed behind the notch. Nova 3 comes with Android Oreo 8.1 with Huawei’s EMUI (version 8.2) on top of it. EMUI would be ok for most people to use. But it looks a bit cartoonish and bit similar to MIUI that Xiaomi provides with their phones. EMUI would not appeal to everyone. That being said, there are some nice motion controls which can mute the ringing of the phone if you flip it, raise the phone to answer or make calls, etc. There is also something called “App Twin” which enables apps like Facebook etc, to log in with 2 different accounts at the same time. However, this is only supported in EMUI launcher and wont work if you install a different launcher. Also, you get some bundled apps, which is not much as to irritate. You can’t uninstall them, but you can only disable them from the apps list in the settings. 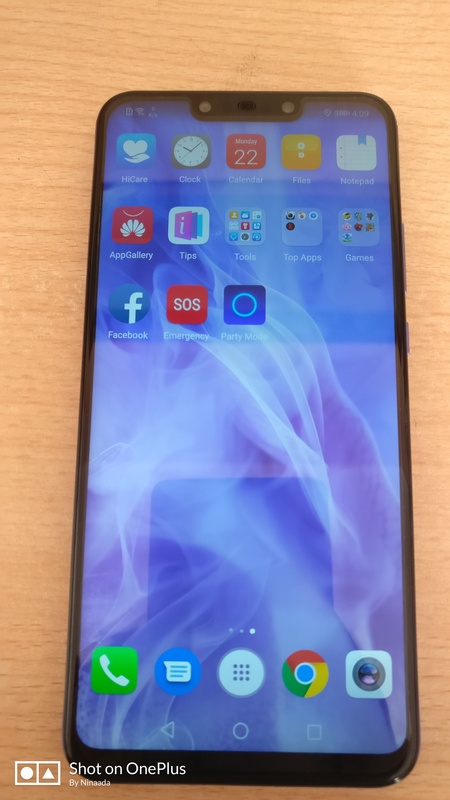 Overall, EMUI is not a great experience when pitted against Android One or the skins which resemble stock Android like Oxygen OS from Oneplus. The fingerprint sensor is fast and unlocks the phone in a fraction of a second. Although there is an IR sensor for face unlock, we found it to be very inconsistent. It was not unlocking in low light scenarios, and always required good amount of light on the face to unlock. Gorgeous color combination, gradient makes phone look beautiful! Watching videos in this phone is a good experience, owing to the wide aspect ratio of the phone. The display is crisp and makes it for a good watch. It is easily capable of playing 4K videos due to the flagship processor used. Audio quality is also good and you would enjoy listening to your music. There are some audio settings which you can tweak around in the settings once you have connected your earphones. The bundled earphones sound good, and would be sufficient for most people. But we found it bit lacking in treble and is more calibrated towards providing more bass. There is a single speaker which can be used as a speakerphone or for music/video. Its not that loud and also the sound quality leaves a lot to be desired. Nova 3 supports EDGE, 3G or 4G (with VoLTE) data connection speeds. Wi-Fi (dual band) support is also there and so are NFC and Bluetooth 4.2 for data transfer, it can also act as your personal Wi-Fi hotspot with the internet sharing feature, allowing you to tether other devices. Wi-Fi is also useful for sharing via DLNA. It also comes with dual VoLTE support. Bluetooth supports high definition audio via aptX HD and other protocols like LE, A2DP. For location services, the device supports GPS, AGPS, GLONASS and BeiDou. Also, for data transfers, the device has a USB C-type connector, which makes it easier to connect compared to micro-USB and is faster too. Nova 3 comes with a 16 MP maincamera and a 24 MP monochrome secondary lens in the back. Both the lens hasf/1.8 aperture with 27mm wide angle. It takes some good shots in daylight. Thereare plenty of modes/scenes provided in the camera app. There is also a Pro modewhere in you can control all the settings manually, like shutter speed, ISO,white balance, exposure and also gives an option to manually control the focusof the main camera, but the UI for the same is not that intuitive and you needto fickle a bit to set your required settings. But the camera does not have anykind of stabilisation system, not even software based, which makes you to holdthe phone very still when taking photos or shooting videos. The camera takesgood photos in low light too, but at times, details are not captured properlyat times. Some colors are not reproduced properly. The portrait mode works welland you get good looking photos here. And there is an AI mode in the camera,which tends to oversaturate the colors when turned on. Thankfully, you can turnit off if not required. AI camera tries to determine what you are shooting andtries to adjust the settings accordingly. We found this feature not very usefulsince, it was a hit or miss, and did not add much value to the result. All saidand done, this phone will get you some good shots in good conditions andlights, but can be inconsistent. Below are some of the sample photos shot from the device. Video recording allows for capturing in 4K, 1080p & 720p resolutions. The level of detailing is good in recordings, 2 mics provided for stereo audio recording do a great job at capturing the surrounding sounds properly. But the sad part is that since there is no stabilisation available for the camera, the videos appear shaky if you are not holding the phone very still. Good part in video recordings is the audio and that it adjusts the exposure accordingly to the object in focus. 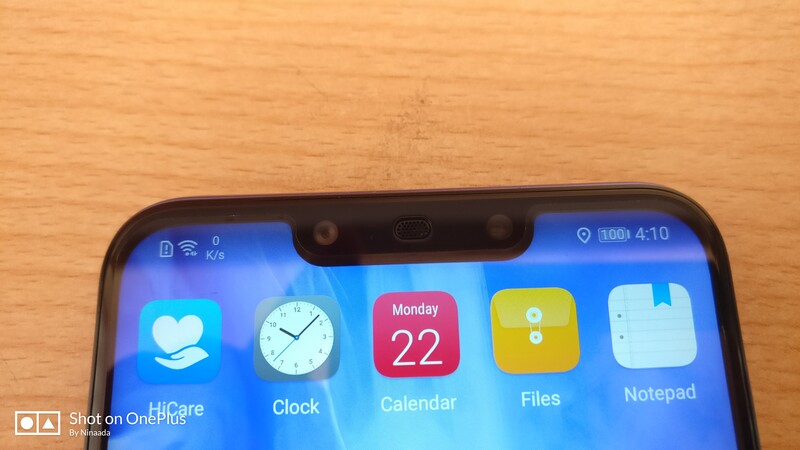 Nova 3 also has two cameras on the front to take selfie shots One is 24 MP F/2.0 26mm wide-angle lens, while the other one is a 2 MP lens for sensing depth to create bokeh effect. The selfie shots appear a little artificial if the beauty mode is turned on, which basically tries to whiten the picture. Otherwise, selfie shots look good if shot in sufficient light. Indoor and low light shots are just decent, and also lack of stabilisation shows here too if the phone is not held in place and you often get blurred results. Nova 3 has a 3750 mAh battery, which lasts easily more than one and a half days on moderate usage, which is great for a smartphone. With heavy usage it will easily sail through the day and overnight. There is a power saving mode which will limit the background app activities, disables email auto-sync and reduces visual effects. There is also an ultra-power saver mode which will enable only a few selected apps for use. Also, there is a fast charger provided with the phone which supposedly charges the phone faster, but it’s not as fast as the competition. It takes 2 hours for a full charge from 0 to 100%. The battery life is very good, but charging speed is not that great. 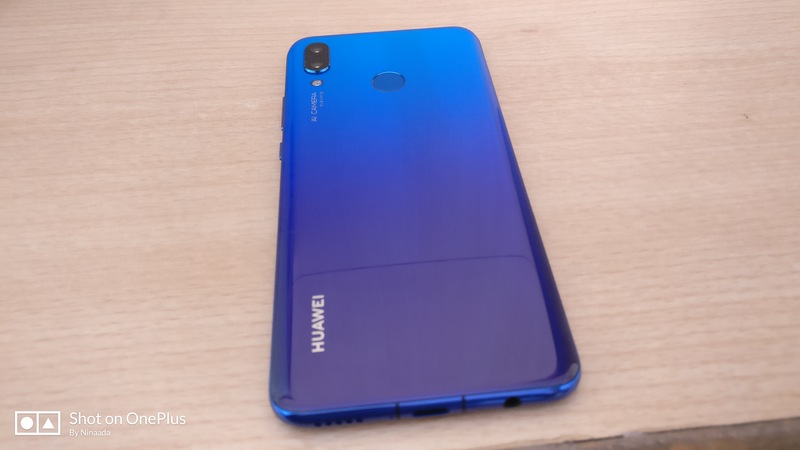 Huawei Nova 3 has been launched for ₹ 39,999. It is available for ₹ 34,999 from Amazon at the time of writing this. At this price, it is hard to recommend this over alternatives like Oneplus 6/6T which begins from ₹ 38,000, and Asus Zenfone 5Z which starts from ₹ 30,000, pretty much for the same specifications, in addition to better Snapdragon 845 processor. Don’t get me wrong, this is a good phone for the price and you can’t go wrong with it. It performs well and you won’t face any performance issue or lags as such. But there is fierce competition starting in this price point for “Affordable flagships” as such. This phone is for people who want their phone to look great with a good build quality and shoot some decent photos.